Restaurants in Santa Fe, New Mexico Whether you wish to sample some of the world’s top-rated restaurants or seek out the local treasures, all the restaurants in Santa Fe has something to satisfy every palette. 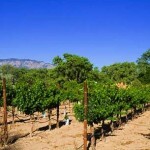 New Mexico is one of the oldest wine producing regions in America. 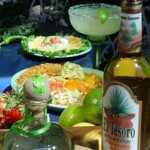 Spanish missionaries planted the first vines in the Rio Grande valley in southern New Mexico in the late 16th century. Today, wine grapes are grown in many small vineyards. 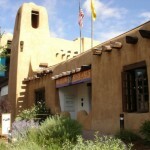 Santa Fe Art Galleries – Santa Fe is one of the richest art destinations in the country. There are more than 250 galleries featuring all types of art including traditional, western, contemporary, Native American, Spanish colonial, and folk. Santa Fe is a shopper’s paradise! Whether you’re in the market for distinctive clothing, jewelry, home décor, or just nice souvenirs, it’s all here. Sophisticated shopping awaits at nearby Canyon Road and the Guadalupe/Railyard districts. Santa Fe offers numerous opportunities to enjoy performance arts in addition to the well-known visual arts. There is the world-renowned Santa Fe Opera that offers five operas during a two month run in July and August each year. 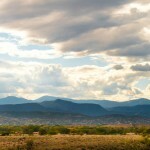 Surrounding Santa Fe is a diversity of hikes unequaled by any other area of the state. The 12,000 foot peaks of the Sangre de Cristo Mountains, the canyons and caldera of the Jemez Mountains, and the more arid high-altitude desert. 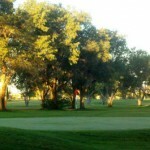 Clear, fresh mountain air, brilliant sunshine, spectacular mountain vistas that surround beautiful desert landscapes … this is what you’ll experience out on any of the diverse golf courses of New Mexico. If you are seeking outdoor sports and activities to experience the peaceful beauty of the area and breathe some of the cleanest air in the country, Santa Fe has a lot to offer. 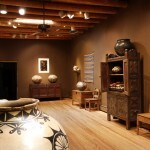 Santa Fe is gifted with museums and historical sites of interest to most visitors. In fact, the museums are the “crown jewels” of the State of New Mexico. 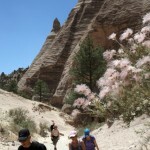 Things To Do in New Mexico: Day Trip Recommendations If you want to experience Northern New Mexico outside of the City Different, there are many easy day trips available. On these trips you can see the scenic beauty of this region. If you want to visit Santa Fe and the surrounding area but want to leave the navigating to others, there are numerous tour operators eager to help. You will enjoy the services of knowledgeable guides steeped in the history and culture.